These are lyrics by The Clash that we think are kind of funny. 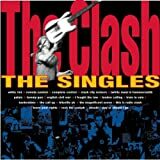 The Clash's, "Should I Stay Or Should I Go?" Now really! If I'd be in worse trouble if I leave, I'd rather stay...now that is a given...you don't even have to ask if you should stay or go considering the trouble you'll be in either way!